KontrolFreek today introduced Justice, the company’s newest addition to its acclaimed CQC thumbstick line up. Justice was inspired by Gears of War: Judgment and brought to life by the GOW community. 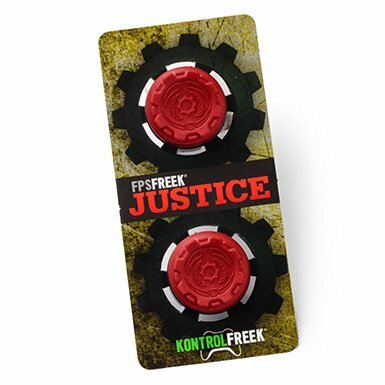 This design was chosen out of more than 600 submissions submitted during KontrolFreek’s March You Be the Judge contest that offered GOW fans the opportunity to design, name and vote for a future FPS Freek. The winning design and name were created by Randall Rolfe, whose winning submission directly influenced the final product. 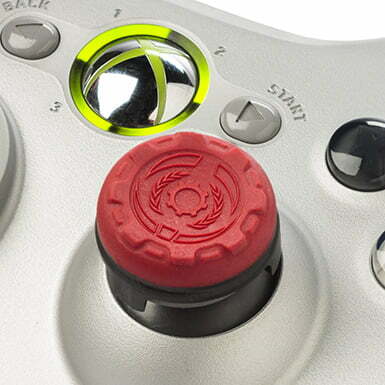 Justice is built on KontrolFreek’s shorter CQC (Close Quarters Combat) platform and is designed for GOW and other third-person shooters where combat can get up close and personal. The CQC format is perfect for these types of shooters, providing gamers with more accuracy and precision without sacrificing the quick movements necessary to down your foes. Justice’s thumb surface employs a soft red rubber grip and features a proprietary laser-etched concave design that proudly salutes the popular GOW franchise. This makes it a must-have for fanboys and collectors. Justice extends the length of the analog stick by 0.3 inches, increasing the range of linear motion and providing the superior leverage and control required by third-person shooter games. 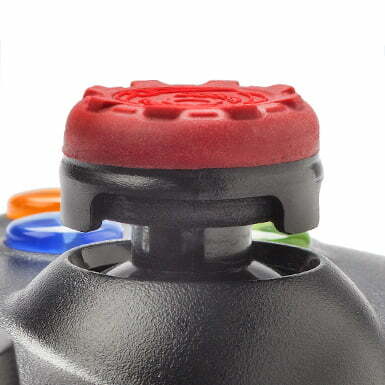 The CQC is also perfect for that often-neglected left analog stick that could benefit from more grip without sacrificing quickness. This added control and precision will help gamers get the most out of all short to medium-range munitions like shotguns and submachine guns. 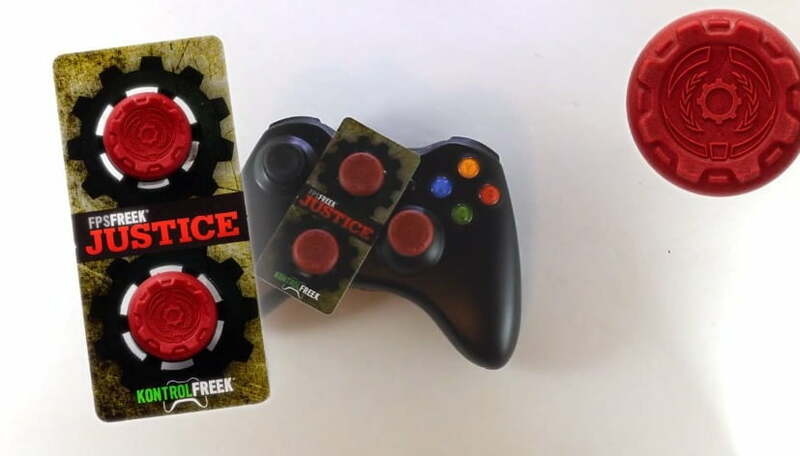 Justice is designed to fit both the Microsoft Xbox 360 and Sony PlayStation3 controllers, but it is compatible with many third-party versions.